Total Glowmax is an additive enhanced heating oil being pioneered by Total and distributed by Total Butler, the heating fuel distributors. This new product is offered to their customers using kerosene for heating and oil burning cooking stoves, such as the Aga. To store this additive ready for distribution from Total Butler’s depots, they have chosen Tuffa to provide the necessary storage, as this manufacturer is renowned for its bespoke and proactive approach to customer requirements. 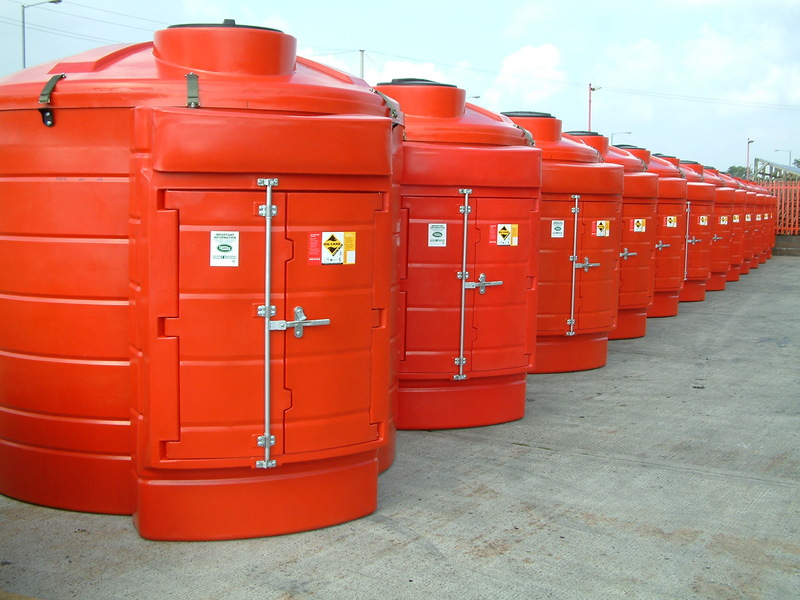 The 6,000 litre tanks are specially designed to include specialised pumping gear & Atex approved explosion proof equipment and specially coloured for the project, will firstly be sited in Total Butler’s locations covering most of the Eastern and South West Region. Nicola Greaves of Total Butler explained the importance of the new product, “At Total Butler, we are very proud to be the distributors of new Total Butler. We are always working harder to provide our customers with more and Total Butler allows us to offer a high quality product that gives all our domestic customers, even those who do not have an Aga, a more efficient system. Tuffa’s tanks, has been an integral part of the launch and supply of this new product. It will ensure that supplies are kept securely ready for our delivery drivers to meet the expected demand from our customers”. Tuffa have worked with Total Butler to give tanks that in size and configuration, suit the logistics of the operation and the cheerful red colour was chosen to ensure that operatives cannot miss the new additive.